Christmas is finally here! I’m celebrating by making some traditional US and UK recipes this year. For Christmas Eve, I can’t WAIT to make mince pies (they’re sweet not savory ;)) – they’re what you leave out for Santa the night before (don’t worry, we are leaving out cookies too!!). And, we’re making a Christmas Roast with a dutch baby (which is like Yorkshire pudding). I’m ending the week with a family meatball recipe and we’ll kick off New Year’s next week with some other yummy treats. More on that next week! 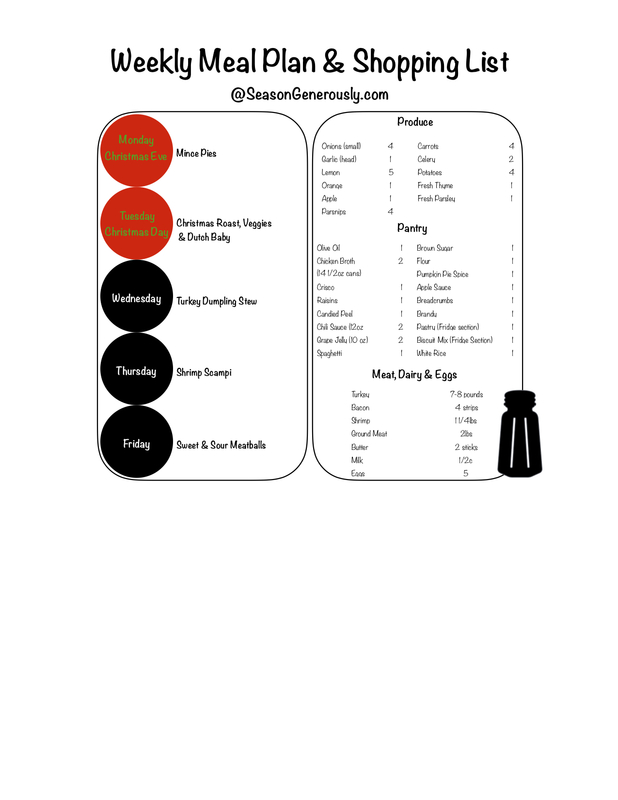 In the meantime, click here for this weeks meal plan and shopping list or the picture below!